BATAVIA, N.Y. -- The Fashion Program students at Genesee Community College announced the 38th Annual Fashion Show will take place on Saturday, May 4, 2019 with one show only at 7 p.m. and this year's theme is truly "LIMITLESS!" Earlier this week, the Fashion Program students hosted a Color Draping event at GCC's Batavia Campus where they conducted consultations to help individuals determine the color palettes that most complement their unique hair color, skin tone and eye color. Opening the Color Draping event, Fashion Program students Kento Takayama of Japan and Hannah Donnelly of Livonia, NY unveiled the 38th annual Fashion Show theme as "LIMITLESS!" To fully illustrate the unlimited capacity of "LIMITLESS," Fashion Merchandising instructor Laura Taylor participated remotely through Zoom as she was attending the International Textile and Apparel Association conference in Cleveland, OH. "LIMITLESS" was chosen completely by the students in the program to demonstrate the endlessness of fashion possibility. With no limits or boundaries, this year's fashion show will draw from both classic and fiery palettes and promises to be innovative, inclusive and inspirational! Over the next six months, GCC students will build and coordinate numerous scenes for the show. To appreciate the development of "LIMITLESS," follow @gccfashionprogram on Instagram, @trendygcc on Twitter and the FBM (Fashion Business Merchandising) program blog at https://sunygcc.blog/category/academics/fashion/. Students will be sharing details about the show, their individual scenes and more! Following the success of "Ascendant," GCC's 37th annual show in 2018, "LIMITLESS" will again take place on the 24,000 square foot indoor field house in the Richard C. Call Arena. With plenty of space to accommodate 2,000 guests, including ample parking, the students are planning one dynamic, fast-moving production, but there will be pre-show interviews and photo-ops featuring the coordinators of each scene, and another post-show party and vendor market. Currently, students are seeking vendors to participate in this portion of the program. Tickets to the show are just $5 per person in advance, and $8 (cash only) per person at the door the night of the show. To purchase tickets in advance, please email fashionshow@genesee.edu. Any business, organization, or individual interested in an opportunity to support this year's Fashion Show should contact Debbie Mancuso at (585) 345-6830 or via email at fashionshow@genesee.edu. Business donations start at $10, but event sponsorships are welcome at all levels. Personal donations of $5 are available, and Fashion Program students will be delighted to schedule a donation pick up or make special arrangements for donations. Sponsors and in-kind donations are included in the Fashion Show Program as well as on the Fashion Show website. Checks should be made payable to GCCA and can be mailed to Genesee Community College, Fashion Show, One College Road, Batavia NY 14020-9704. The Fashion Program at GCC has always been a flagship program for the college. The knowledge and experience of the program faculty and the dedication to their students has produced quality and professional workplace candidates and well-prepared transfer students since the program's inception 40 years ago. Recently, GCC renewed its articulation agreement with LIM for students in the Fashion Business: Merchandising A.A.S. program. Students who complete the track and degree can seamlessly transfer to LIM to complete their B.B.A. in Fashion Merchandising, Visual Merchandising, Marketing or Management. 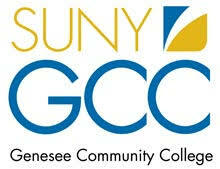 In addition, GCC is very excited to announce a new articulation agreement with Cazenovia College. This agreement provides a seamless transfer opportunity for GCC's Fashion Business: Merchandising A.A.S. students to Cazenovia's Fashion Merchandising B.P.S. and for GCC's Fashion Business: Fashion Design A.A.S. students to Cazenovia's Fashion Design B.F.A. degree program. Anyone interested in taking advantage of these transfer opportunities through GCC is encouraged to contact GCC's Student Success Center at (585) 345-6805 or via email at SSC@genesee.edu.